I've just got my car back from my mechanic having various niggles sorted including a new variocam solenoid on bank 1. I specifically gave him a list of things I wanted sorting and checking whilst in there. Most importantly chain guide parts and cam condition/timing. Car's on 132k miles, doesn't use any oil (maybe 300ml over 12k, usually on a blast down to the French Riviera and back non stop) and filter always clean when serviced. He reported back that the cams were like new, minimal wear on the guides/slipper, and cam timing was spot on (only checked bank 1). As far as I'm aware, the engine has never had any work done on it (apart from me removing the outer seal on the IMS bearing, which was also like new). I know there's other 3.4 996 engines that are in a needy rebuild before 100k, with the main culprit being the crank bearings. So what's the script here? Are some cars ragged when cold, or poorly manufactured, or not serviced (oil) accordingly? Am I just lucky? Has mine had a rebuild I don't know about? Do I just keep on having fun in it? Drive like you stole it until you broke it. I have always been of the opinion that a full book of service stamps is no guarantee of anything, particularly with Porsche's. Folks hold this in high esteem, but the back story is how they are driven (proper warm up etc.). 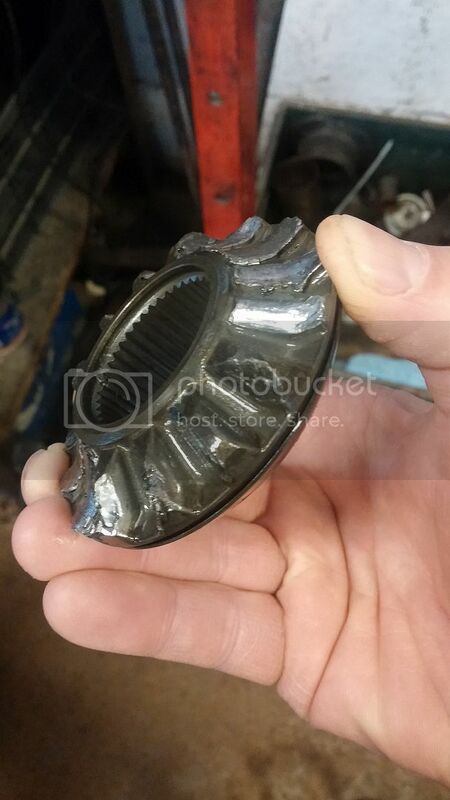 The period where long service intervals were prevalent has also taken it's toll - a mate has a DAF Tractor Unit that has 500,000 miles on the clock - his simple view is he changes the oil and filters every month. I've tried that for nearly 5 years and the best I could do was mash my diff! I wonder whether worn engines are a combination of poor drivers causing over Revs especially in low gears down hills, poor manufacturing tolerances on some engines, the few percent of IMS that reveal before 70k, incorrect oil specs, track use when oil lowish?? I bought the car on the basis of popopbangbangs ownership thread. Exact same (base) spec as his car. All i can do is thrash it and love the fact that I'm in a millenium spec supercar for audi money. Same here Alex just passed 125,000 miles uses no oil no rattles or noisy start up. Just had all the wheel arch liners and trim off sprayed with dintrol no sign of any rust ether. luck of the draw i guess. 94,000 miles on mine.It doesn't use any oil,its mechanically very quiet and doesn't even rattle on cold start even after being left for weeks on end. I wish there was a simple easy way of checking the crank bearings. You can if you fit an external oil pressure gauge. Or get your oil sample diagnosed when you change the oil (every 6000m for me), I believe that an increase in the amount of Copper over time would indicate a probably increase in journal wear and time to consider an engine rebuild. I think I’ve got that right (?) as it’s why I get mine done every oil change as well as giving an indication of overall engine health along with oil consumption. Don't worry, the usual suspects will be along soon to remind us we're all doomed. Anyway, as above, my understanding is that oil analysis is a reasonable guide to bearing wear etc. Cheap enough to give it a whirl...? 170k+ on mine now, with no engine work... I just drive it and fix things when they break. I'm going to just drive mine and fix it when/if it stops. If there are no decent cranks left in the world then I will shed a tear and then break it for spares. Or put a different engine in. In the mean time I do oil analysis and keep a keen eye on oil pressure. It's funny, we used to get threads like this on the Range Rover forum when I had one of those cars. Someone would say "my car has done 20 billion miles and never missed a beat......." which would then be countered by "my three month old FFRR has had five new engines..." or something. In other words, there's so many variables in play [factory assembly defects, quality of servicing, mechanical sympathy for example] that you may not get a consensus about engine reliability. GMG, what say you? Hartech's opinion? That said, it's always nice to hear of the high mileage "good news" stories, happy motoring chaps. Alex I think that you have put your finger on a possible source of the engine problems and that is not properly warming the engine before driving. My son who has a current 911 gets in and drives off as if the hounds of hell are at his heels. The concept of warming up never enters his head, or to be fair, any of his friends. In a 'modern' car, theres debate over whether doing this actually causes more harm than good. I know I've heard similar debate aout the 996/7's too - do you start up and leave it 15 minutes till its at 80deg before even lifting the handbrake, or do you get in and drive gently to ensure the oil fills all the engine and only start hooning at 80deg?